Our new linens from Morrow Soft Goods are a dream. So soft and cozy. 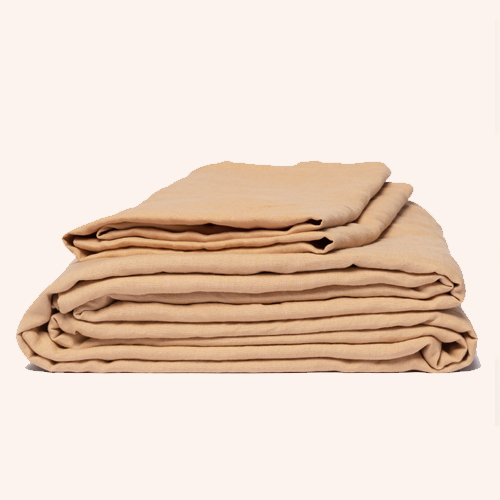 We went with the Fawn color and I want to get 2 terra-cotta pillow cases to mix it up! Dried palm leaves all around the house. 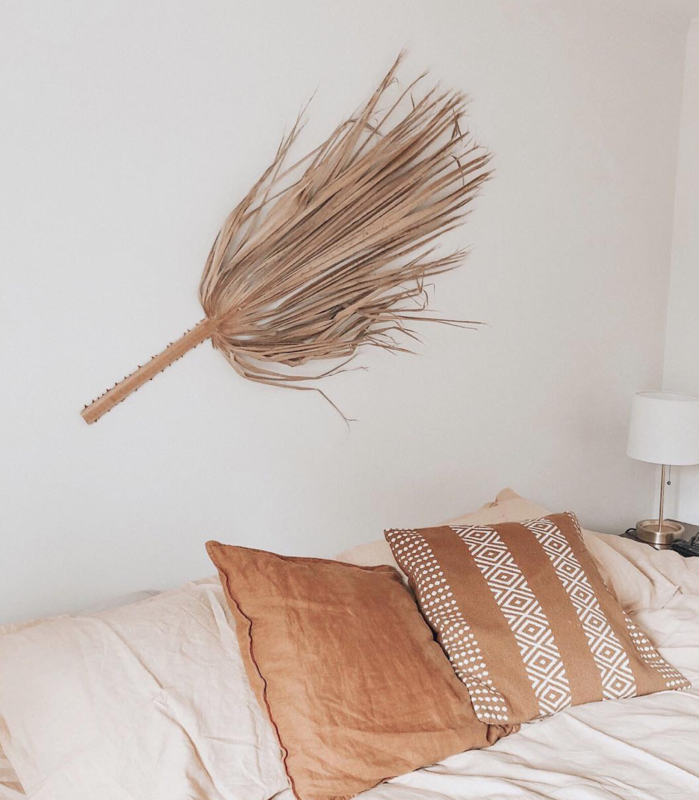 Simple, easy decor! We have one large one above our bed and one smaller one in our daughter’s nursery. 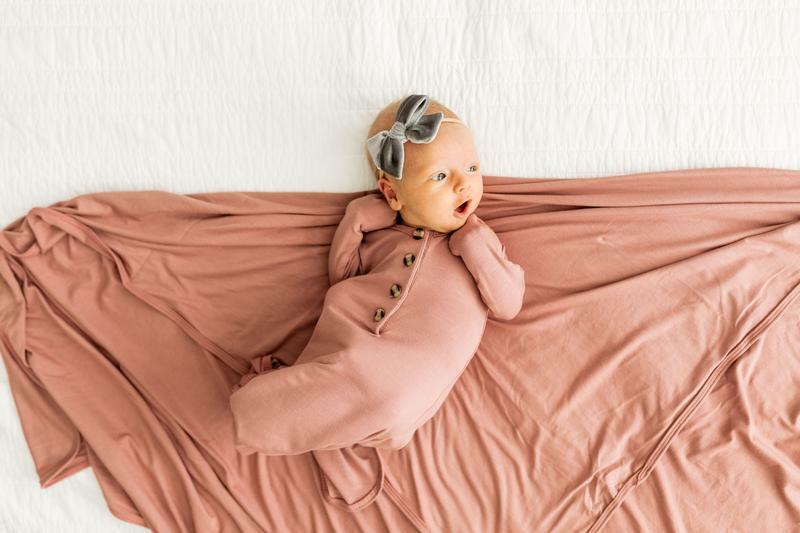 The knotted baby gowns from Lou Lou and Company are the softest! Amelia loves hers! We did a marathon of Oscar nominated movies before the Oscars aired last month. Highly recommend watching Free Solo, Greenbook, and A Star is Born. Gentle Baby™ essential oil blend is formulated with Coriander, Geranium, Palmarosa, Lavender, Ylang Ylang, Roman Chamomile, and other sweet-smelling essential oils. I drop in the diffuser at night for a calming scent. All of the new earrings from Pearl and Ivy Studio we just stocked at Salt. We got the fridababy 3 in 1 humidifier which is great because it is also a diffuser and nightlight. The Mebie Baby collection has the great basics in the perfect colors. Anything Barefoot Dreams - So cozy and soft. I have a blanket and shawl, but I have my eyes on this Cocoon Cardigan. We get our Barefoot items from a local shop by us at home called Becca Rose.